Resistance training is one of the best all-around activities you can do for overall health and fitness. Whether you choose free weights, resistance bands, weight machines or bodyweight exercises, resistance training will strengthen your bones and muscles, keep your metabolism humming and help make everyday activities easier. And though lifting weights doesn't burn as many calories as cardio does in a single session, the perks last well beyond your workout. How Many Calories Can You Burn Lifting Weights for 30 Minutes? Calories burned while lifting weights largely depends on how much you weigh. In general, the more you weigh, the more calories you’ll burn compared to someone who weighs less, though only if you’re both lifting at similar intensity levels. For example, a person who weighs 155 pounds can expect to burn roughly 112 calories during a 30-minute low- to moderate-intensity strength training session, whereas a person who weighs 185 pounds can expect to burn approximately 133 calories doing equal work, according to Harvard Health. On the surface, it looks like people who weigh more have an advantage when it comes to burning calories during strength training. However, while people who weigh more generally burn more calories than their lighter counterparts, they also need more calories. The reason? It takes more energy to power bigger, heavier things. Think about it: A laptop will typically need more juice than a smartphone. In addition, how many calories you burn during a strength workout will depend on the intensity of the exercise. 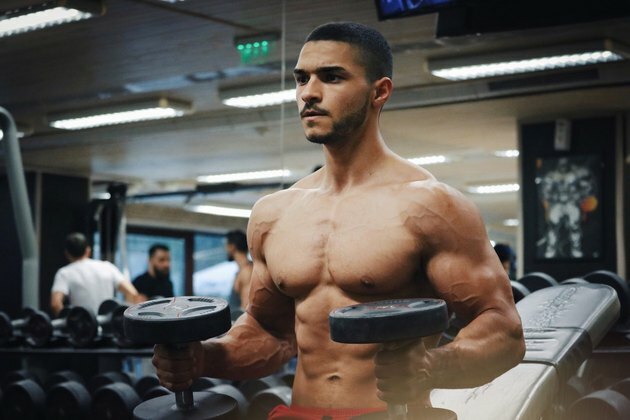 Lifting heavy weights (weights you can lift for no more than six reps); lifting weights in a fast, circuit-style fashion with little to no rest; and performing bigger compound exercises (ex. squats, bench presses, deadlifts) will generally burn more calories than lifting lighter weights at slow, steady pace, or prioritizing isolation exercises (ex. bicep curls, triceps extensions). To see the difference that intensity can have on caloric expenditure, consider these numbers from Harvard Health: A 155-pound person will expend roughly 223 calories during an intense 30-minute strength workout, compared to 112 during a lower-intensity session. This extra 111 calories burned adds up over time, making higher-intensity forms of strength exercise well worth the effort. Can You Lose Fat While Lifting Weights? Some forms of exercise get all the weight loss credit, but the reality is that any form of exercise can help you lose fat, including strength training. Of all the factors that determine how many calories you burn on any given day, physical activity is the most variable, and accounts for 15 to 30 percent of your total daily caloric expenditure. So, you may not be able to change many factors that contribute to your resting metabolic rate (the number of calories your body needs to function at rest), but you can easily manipulate how much and what types of exercise you do every single day. Adding regular exercise to your weekly routine can have a huge effect on the total number of calories you'll burn, which can ultimately help you shed more fat over time. That said, no amount of exercise — strength training or otherwise — can undo the effects of a poor diet. If you’re eating more calories than you’re burning, you will gain weight over time. Read more: How Often Should I Strength Train to Lose Weight? Is Cardio or Weight Training Better for Weight Loss? At the end of the day, it’s important to do cardio and strength training, both for weight loss and for general health. Each form of exercise offers unique benefits that can keep you healthier and fitter for the long haul. Plus, combining the two will likely lead to greater weight loss over time than relying on only one method, according to a study in BMC Public Health. Study authors found that overweight and obese adults who followed a 12-week cardio and resistance training program lost more weight than adults who did only cardio or resistance training. In general, you can expect to burn more calories during a 30-minute cardio session than strength training. For example, a 155-pound person will burn roughly 372 calories during a 30-minute run at a pace of six miles per hour, but only 223 calories during a high-intensity resistance training session, according to Harvard Health. However, strength training leads to greater muscle growth, and the more muscle you have, the more calories you burn at rest. So, while you might not burn as many calories during a strength workout as you would a cardio session, resistance training can help you burn more calories in the long term. In addition, strength training causes more muscle damage than cardio, which will lead to an increased calorie burn post-workout. Why? Because your body uses up energy (read: calories) to repair damaged tissues and build new tissues. As a result, you’ll continue burning calories after your strength session for longer than you will after a cardio workout. As far as the health benefits, cardio exercise (ex. running, cycling, walking, swimming) is a great way to lower blood pressure and bad cholesterol, keep blood sugar under control, and reduce your risk of certain conditions, including heart disease, type 2 diabetes, and stroke, according to the Mayo Clinic. 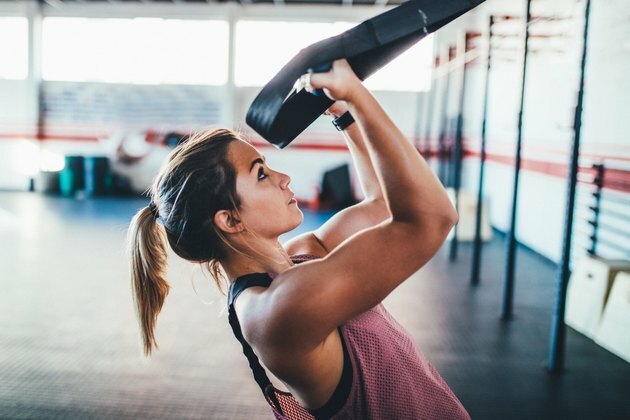 Meanwhile, lifting weights is one of the best ways to keep your bones strong, according to a paper in Clinical Cases in Mineral and Bone Metabolism. Strength training will also prevent sarcopenia, or loss of muscle mass as you age. In fact, strength training should be your first move in both managing and preventing sarcopenia, according to guidelines published in Annual Review of Gerontology and Geriatrics. At a minimum, you should aim to meet the physical activity guidelines established by the CDC. According to the latest guidelines (published in late 2018), adults should get 150 to 300 minutes (two-and-a-half to five hours) of moderate-intensity cardio exercise, 75 to 150 minutes of high-intensity cardio exercise, or an equivalent combination of the two every week. The CDC also recommends that all adults perform two full-body strength training sessions every week. If you want to maximize muscle growth, stick to moderately heavy weights that you can lift for six to 12 reps, and keep rest periods short (one to two minutes max. ), as recommended by the American College of Sports Medicine (ACSM). How Effective Is Circuit Training Vs. Lifting Weights?